The polymer sculptures from Canada’s Maria Saracino will melt your heart in this week of romance. 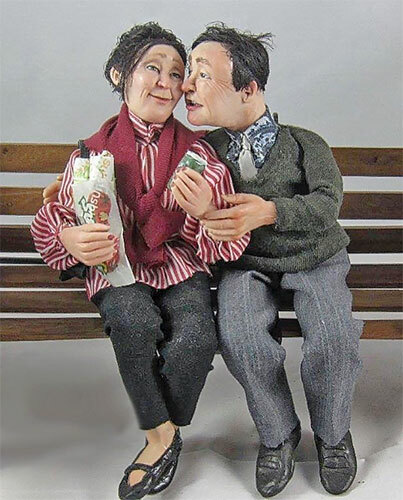 This couple is part of a 10″x24″x6″ sculpture on view at Montreal’s Shane Gallery. Through her figurative sculptures, Maria tries to trigger a memory or feeling in the viewer. Having started her career in illustration, Marie says that it was Norman Rockwell who influences her most as she tries to capture candid moments in time. Her commissioned works will warm your heart. Follow her on Instagram. Nicely done! She shows great attention to detail.